In a global world it becomes more and more difficult to keep track of the local times of all your important contacts. 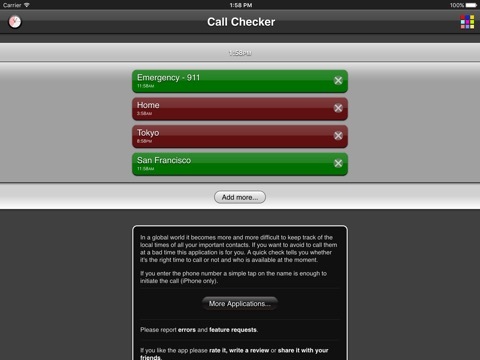 If you want to avoid to call them at a bad time this application is for you. 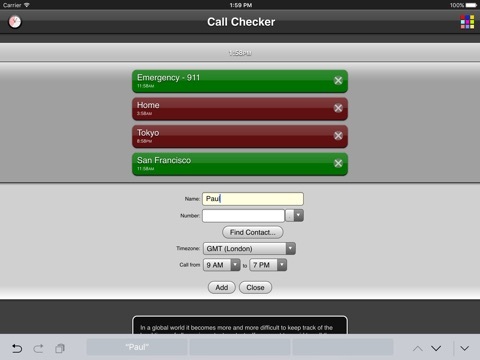 A quick check tells you whether it's the right time to call or not and who is available at the moment. 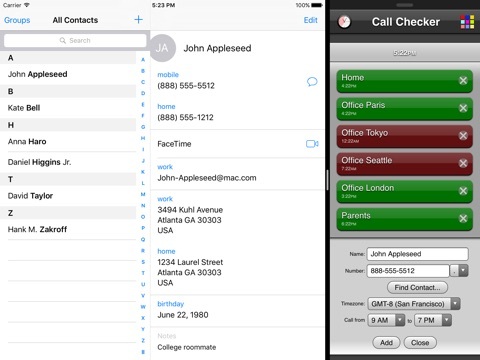 If you enter the phone number a simple tap on the name is enough to initiate the call (iPhone only).